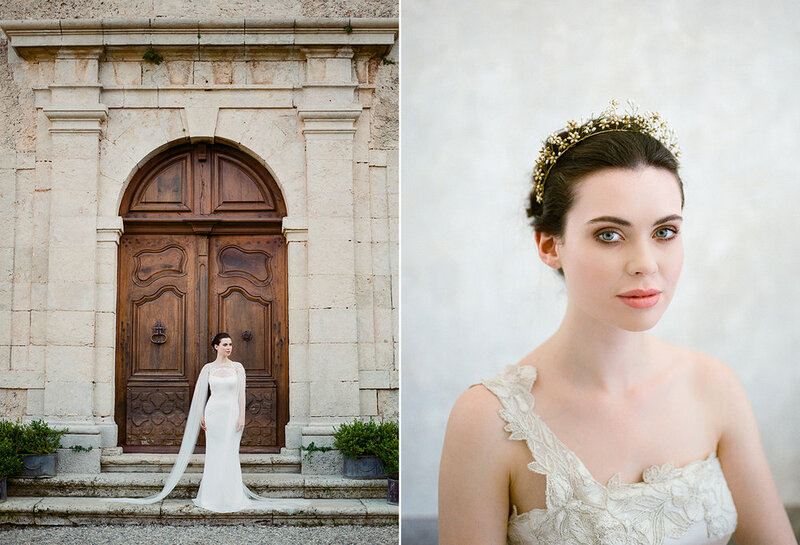 If there was ever a true storybook experience come to life, it was my recent editorial with the lovely Gibson Bespoke in beautiful Provence, France at the most magnificent Chateau… Chateau Moissac Bellevue. My words will never sufficiently describe the grandeur of this day, but I will surely try. 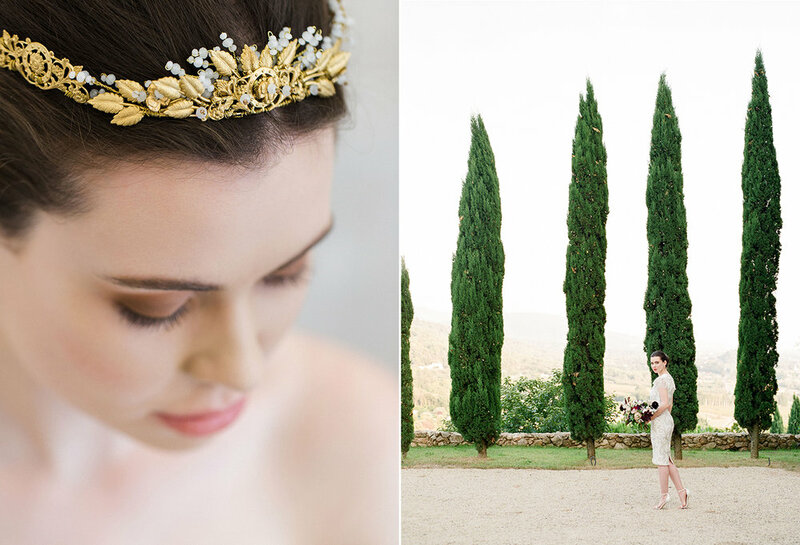 Debbie, the artistic genius behind the artisanal fine art bridal accessory brand Gibson Bespoke, contacted me when she was ready to unveil her new range titled “Savoir Faire”, full of opulent beading and vintage nods… all completely handmade. 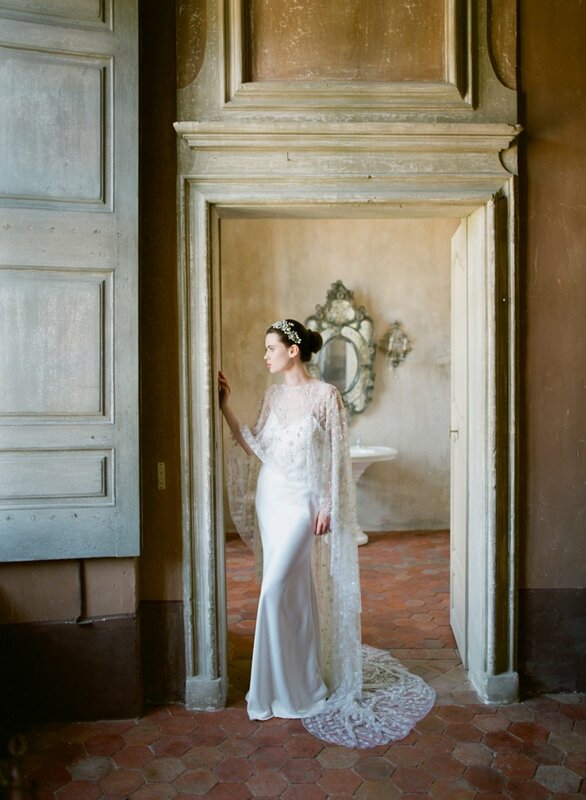 In order to bring her stunning collection to life, we dreamed up this ethereal, dark haired beauty in a 18th century French chateau, to don the baubles. The weather and lighting could not have been more perfect. 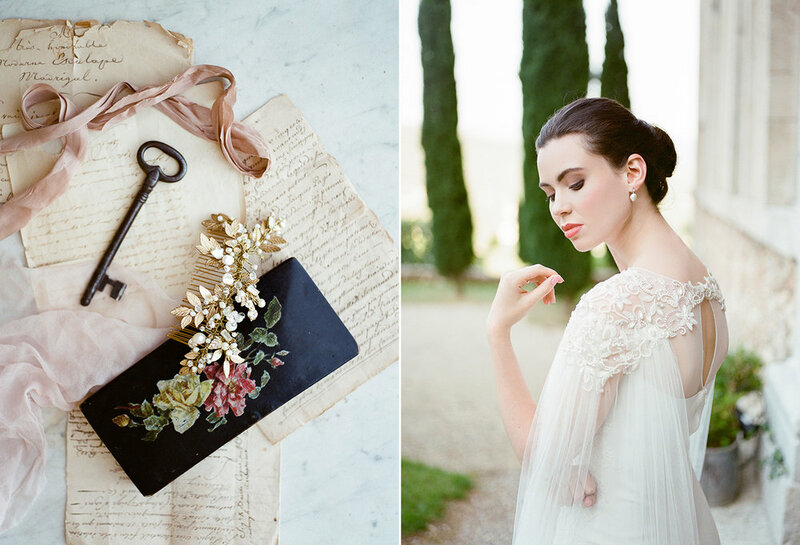 The rooms within the chateau were spacious with an Old World feel, plastered walls, and gorgeous trinkets all around. I felt a moody, yet luxurious feel that could never be replicated anywhere else in the world! Here are a few words from Debbie herself… “Our fabulous team comprised of photographer Tanja Kibogo, make up artist Stacey Kilpatrick and our beautiful model Fionnuala Short,of myself and executive director of Gibson Bespoke, Jamie. Travelling from all over Ireland and Europe, we embarked on our journey, just as summer began to fade in September to the glorious Chateau Moissac. With flight delays, major storms and a few hiccups along our journey, the heavens made possible for us and we arrived in Nice airport to exquisite French weather! Our long road trip to our location was full of stories, excitement and plenty of laughs and our Irish/ English/ German union was sealed! Words can't describe the splendour and grandiose of Chateau Moissac. Entering through the huge front doors, we were welcomed into the most magnificent pastel hued hallway. A winding stairwell to our right beckoned us to explore upstairs. Antique chandeliers that glistened and sparkled gave a touch of quintessential French glamour. The walls and decor were beautifully simple yet resplendent and you really get the notion that there's no need for fussy decor, the beauty is most certainly deeply engrained within the walls.